The open concept Coromandel Bach is a container home that reinterprets the New Zealand building tradition of crafting wood. Located on the North Island’s Coromandel Peninsula, this container house captures the beautiful simplicity of living with nature. Natural timber provides a seamless connection to its surroundings. 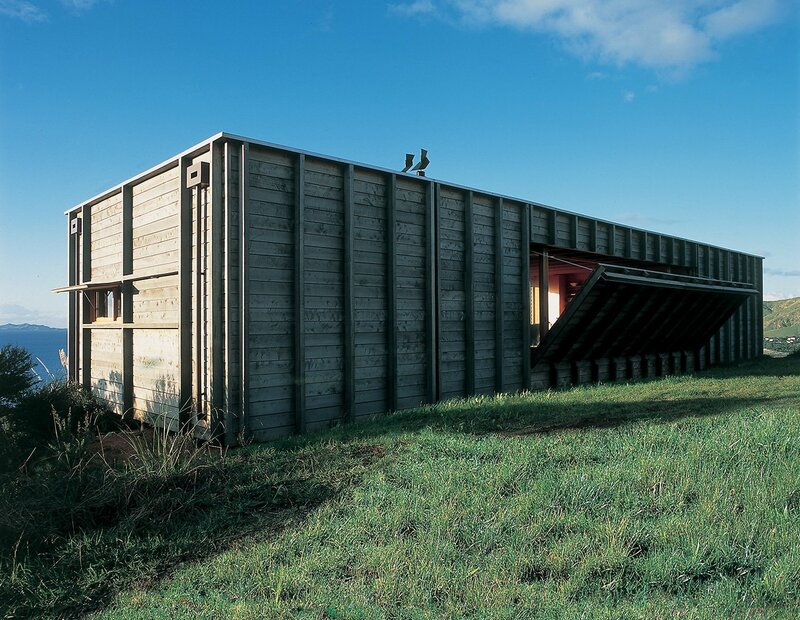 Designed by Crosson Clarke Carnachan Architects, this unique holiday home can be easily boxed up when not in use. A simple mechanism opens the deck upon arrival. The house has a simple rectangular open plan that extends the interior space to the outside and the ocean beyond.